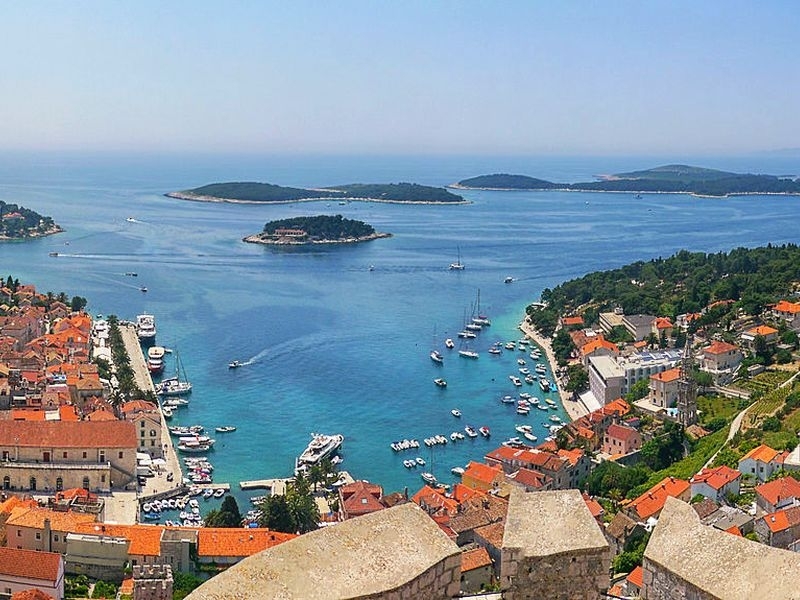 Hvar is an island in Croatia, in front of the eastern coast of the Adriatic Sea. It belongs to the group of middle Dalmatian islands. 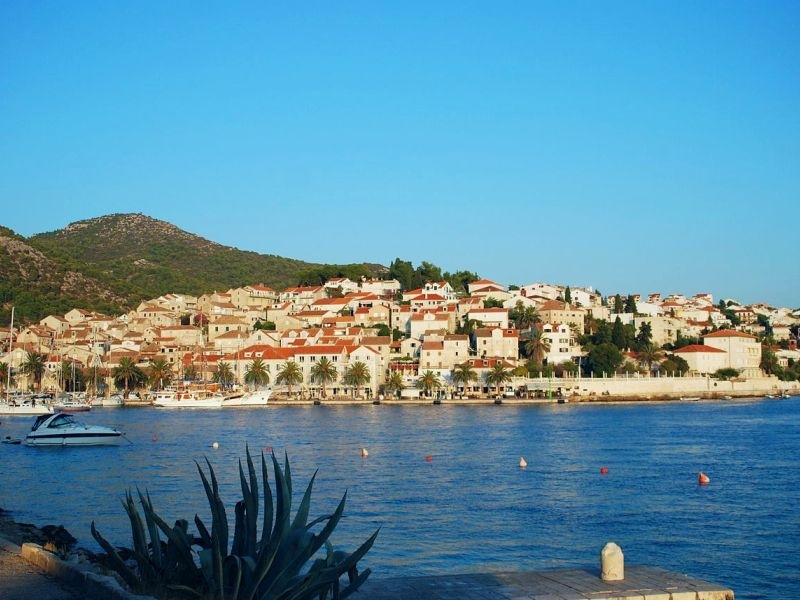 Due to the large number of sunny days, it is often called the sunny island Hvar. It is located in the Splitsko-Dalmatinska County, in the middle of the group of islands that are part of this county. Looking to the immediate neighborhood, north of it is the island of Brac, and south of it is Šćedro (divided by the Šćedorski kanal), Vis (more southwest), Paklinski islands, Korčula and Pelješac peninsula. The length is 72 km, and in the wider part it is 10.5 km wide. The total length of the coast is 254,2 km. The surface area is 299.7 km2 making it the fourth Croatian island on the surface. 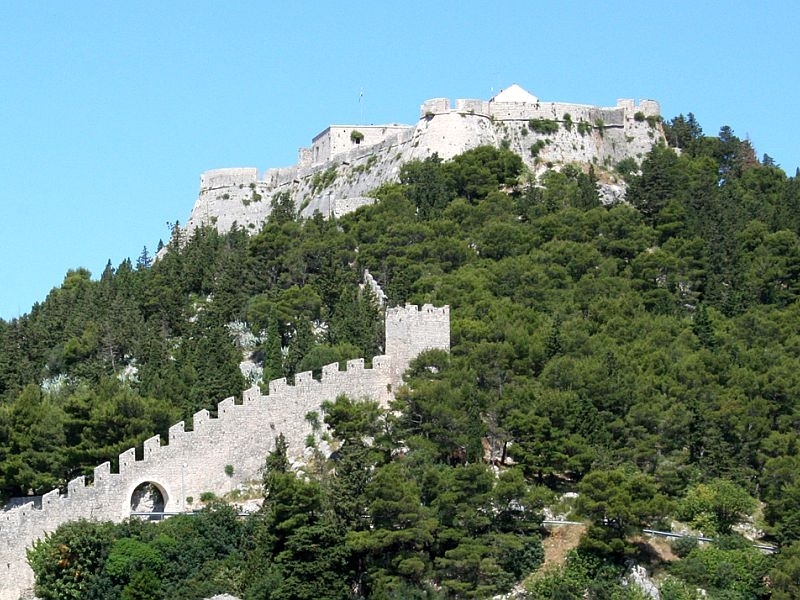 The highest peak is St. Nikola, where there is a chapel, is a tall 628 m. Road linking the town of Hvar to the west and Sućuraj on the east side of the island is 84 km long. The island of Hvar with its surface is mostly covered with pine forests and vineyards that produce up to 50 000 hectoliters of wine annually.